Roseate cockatoo (Eolophus roseicapilla), perching on a branch. 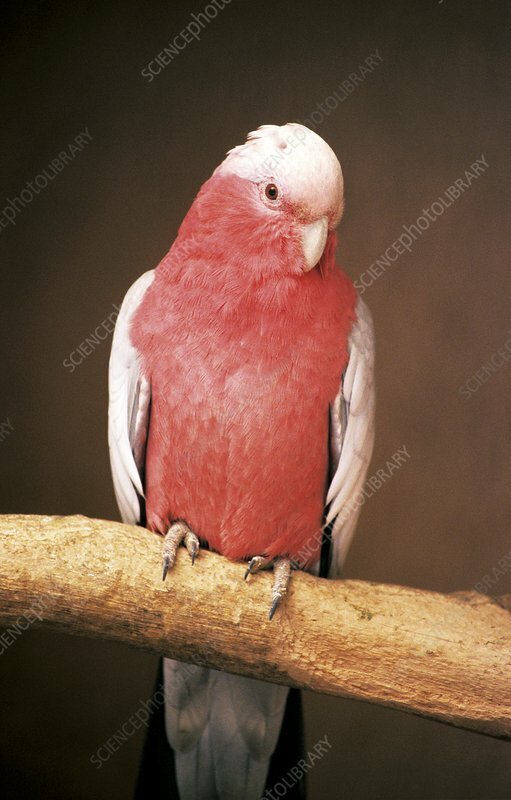 This bird is also known by several other names, including galah, and rose-breasted cockatoo. Its previous taxonomic classification was Cacatua roseicapilla. It is found in almost all parts of Australia. The galah reaches a body length of around 35 centimetres. It feeds on seeds and other plant matter, sometimes feeding on insects for extra protein when breeding.